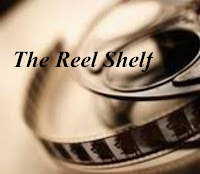 Your one stop shop for book reviews, book news, curriculum connections, and the answer to "What Should I Read Next?" Description: Mattie, a star student and passionate reader, is delighted when her English teacher announces the eighth grade will be staging Romeo and Juliet. And she is even more excited when, after a series of events, she finds herself playing Romeo, opposite Gemma Braithwaite’s Juliet. Gemma, the new girl at school, is brilliant, pretty, outgoing—and, if all that wasn’t enough: British. As the cast prepares for opening night, Mattie finds herself growing increasingly attracted to Gemma and confused, since, just days before, she had found herself crushing on a boy named Elijah. Is it possible to have a crush on both boys AND girls? If that wasn’t enough to deal with, things backstage at the production are starting to rival any Shakespearean drama! In this sweet and funny look at the complicated nature of middle school romance, Mattie learns how to be the lead player in her own life. 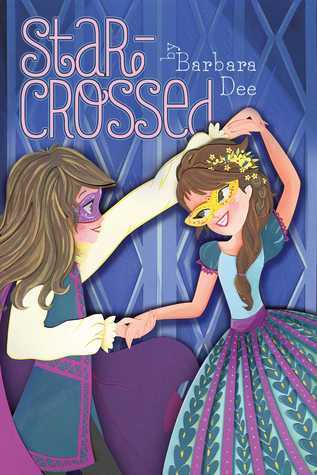 Review: Star-Crossed is a sweet coming-out story and a promising, chaste romance for middle grade readers that intertwines with Shakespeare's Romeo and Juliet. Mattie annoys her friends because she is constantly thinking and unsure of her actions. She finds herself having a crush on Elijah who shares her passion for reading, but that slowly disappears after a disastrous Halloween party. Soon she is inexplicably drawn to Gemma, a new student who seems perfect in every way. As the eighth grade play, Rome and Juliet, goes underway Mattie learns more about herself and Gemma. Mattie discovers that she really like her. Is it possible to like both boys and girls? The incorporation of Romeo and Juliet works really well in the book. Each chapter begins with a snippet from the play and it was really fun trying to see how that line fits into the context of our story. I also appreciated how the students tried to understand what Shakespeare meant and discuss some of the issues of the play (i.e. fickleness of love, impulsive behavior, secrets, etc). Those same issues were also mirrored in Mattie's life too. At times there was a bit too much Shakespeare with large chunks of the dialogue put into the story, which might deter some young readers from picking up this book. Though ultimately the Shakespeare play is a tragedy, Star-Crossed is far from one. Mattie has a supportive family, caring friends, a teacher who understands her, and a diverse cast of classmates that may be more tolerant of her sexuality. Though romance doesn't actually bloom between Mattie and Gemma, it is possible in the book's open ending. Words of Caution: There is a scene where a homophobic slur is used by a student but the teacher quickly addresses it. Mattie's best friend likes to use Shakespearean insults instead of foul language. Recommended for Grades 4 and up. This sounds like a brave book for younger readers that explores sexuality. I am curious to learn more. Also happy to hear there is a supportive family and a non tragic ending. There aren't as many MG reads exploring sexuality so this sounds like a book worth checking out and recommending for that reason alone. I'm not a fan of the cover though; it makes it seem like the book is for someone younger than a 12/13 year old. 5 stars: A must read and own. 4 stars: An excellent book; get it from the library. 3 stars: An interesting read, but not much to talk about. 2 stars: Pretty bad with some good parts. 1 star: Don't waste your time. Share book reviews and ratings with Rummanah (Books in the Spotlight), and even join a book club on Goodreads. Rummanah (Books in the Spotlight) has read 7 books toward their goal of 250 books. I am a librarian at Maine East High School. The opinions and content of this blog are my own and are not that of my employer. Note to Authors/Publishers: If you would like me to read and review your book, please read my Review Policy.